Find a bat? Contact us! Never handle wild animals with your bare hands! Use a branch (2-3 ft long) to let the bat grab with its feet. Gently lift the branch and slowly move the bat the branches of a nearby tree. Monitor the area, if the bat did not move from where you placed it by the next morning it may be sick or injured. Found a bat in your home? Wait until the bat is not moving. Trying to capture a flying bat can be nearly impossible, but it also increases the chances of hurting the bat. Be patient, it will land. Contain the bat. We suggest placing a thick towel or box over the bat. If using a box, gently slide cardboard between the surface the bat is on (i.e., floor or wall). 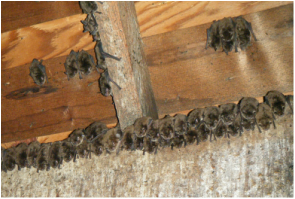 Although bats are very important animals and extremely beneficial, there are times they may be a nuisance by living in your home or business. Love bats? 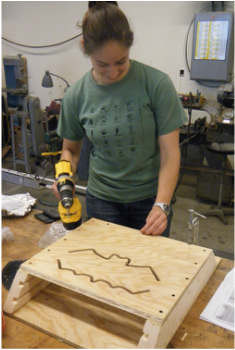 Build a bat house!